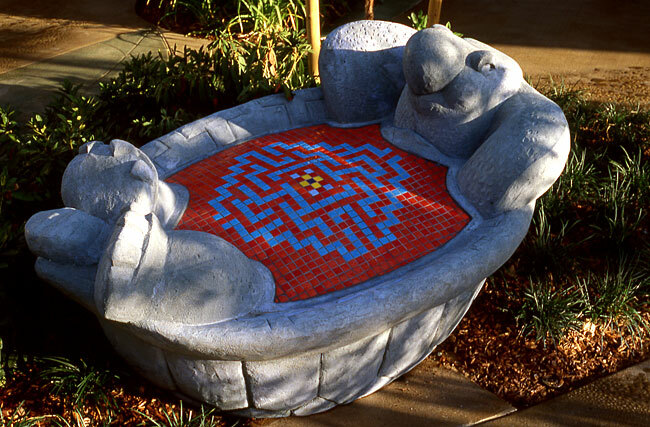 Their projects include public and private work on children's gardens, healing gardens, fountains, memorials, portraits, donor recognition and public plazas & buildings. Since 1991 they have been working together as public artists for clients including cities, universities and hospitals. They specialize in working intimately with their clients to develop concepts that provide a unique message and identity within the scope of work. Their projects often include collaborative design with landscape architects, architects and other design professionals. Often they combine site specific landscape design with large scale, figurative, bronze sculpture. Many of their award-winning projects have not only achieved public acclaim, but have added a unique, distinctive sense of place to many institutions and communities.